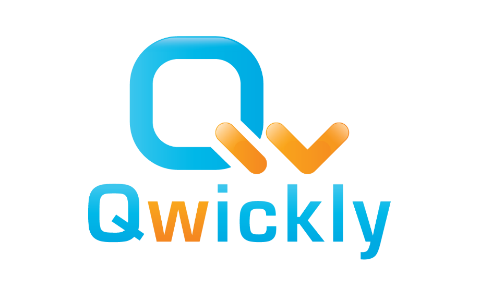 What kind of Card Readers are compatible with Qwickly Attendance LTI? Card readers must connect to computers via USB, have a keyboard emulation mode, and conclude the card reading string with by adding the "Enter" to submit the card string (most card readers do this by default, the rest can normally be configured to do so). The specific type of card does not matter; as long as your card reader can read the card in questions, there are no limitations on types of cards. However, each card needs a way to be connected to a student in the system. Many schools encode the student ID on the card (often along with other characters). This is the easiest set up as Qwickly Attendance will automatically look for student ids within the card reading interface. If student IDs are encoded magnetically or on barcode/QR codes, this set up will work out of the box. Some schools do not encode the Student ID on the card in anyway, or they use a card system that is not aware of the student ID. There are two ways around this. Many clients feed the 'card number' of each student into another field in their LMS, such as the company field, which Qwickly Attendance can key off. If you are unable to push card numbers into LMS fields, Qwickly Attendance LTI does feature a card number utility that student cards can be uploaded into automatically as a fall back option. By default, the Card Reader Identifier is the SIS ID. Alternate Identifiers can be chosen by checking the Alternate Identifier settings field and picking the desired identifier option. How is an Attendance Record created when a user swipes their card? When Attendance LTI is loaded in a course, the tool loads the course enrollment. After getting the enrollment for a course, the enrolled users' data is loaded on to the tool (including whatever value they may have chosen as a Card Reader Identifier). When a card is swiped, the tool then iterates through all the the user's identifiers and tries to find a match for the received card swipe input. If a pattern matching a user's identifier is found in the card then the tool records Attendance for that particular user. Consider a course that has 20 students. One of the students (lets call them John) has the SIS ID "24001101"
The students will swipe a card that is designed to have their SIS ID in the Card Reader string. An example Card Reader String could be ";000000000000000000000024001101!" When a card is swiped, the tool receives this Card Reader string. The tool will then try to find each one of the 20 students' SIS IDs in the Card Reader String. In this case, there is a positive match for the SIS ID "24001101", which belongs to our student John. At this point the tool marks John Present.